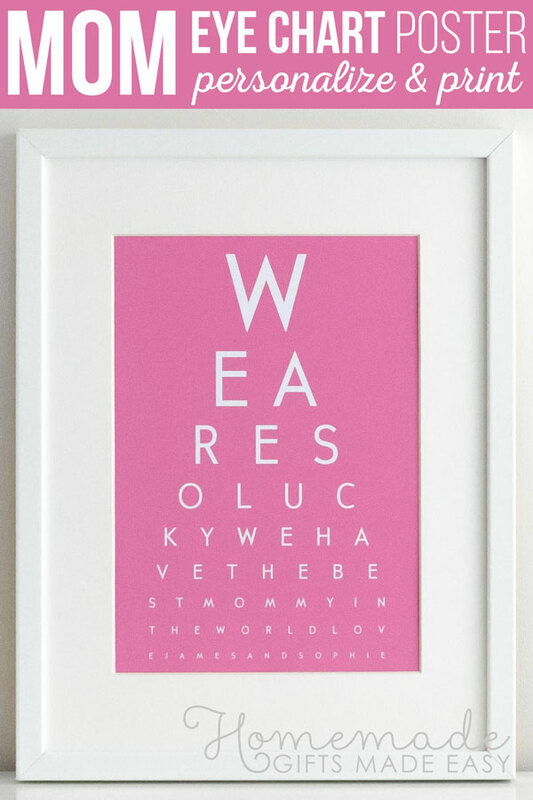 Eye Chart Art - the personalized mothers day gift that's perfect if you're mom's an optometrist, and maybe even if she's not! 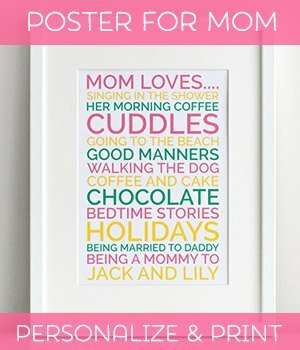 So, what's a gift that's fun, unique, and your mom will love? I think I might know just the thing. The other day I was searching online for pretty things (you do it too don't you?) 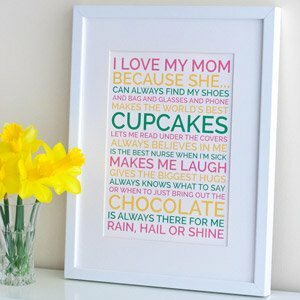 and I came across these beautiful eye charts with Mothers Day sayings in a boutique store. I thought to myself "How pretty! I bet I could make one of those", and so this personalized mothers day gift was born. Coming up with something original (well, kind of) and pretty for your mom can be a challenge so I was really pleased when I came across this idea. Here's one I made in black and white, which says "Mom, thank you for always seeing the best in me. You're the *best* mom ever". And here's one in pink, which my husband made for me from my children (isn't he a sweetie) which says "We are so lucky we have the best mommy in the world. Love, James and Sophie". Dads, take note, if your looking for a personalized Mothers Day gift for your wife, this could be a good one! Making these custom eye charts is embarrassingly easy, because my husband wrote a program that does all the formatting automatically and has put it up online for you to use. I'll give you the link in the tutorial. Yes, my husband is a rare combination of crafter + computer geek, in the best possible way. 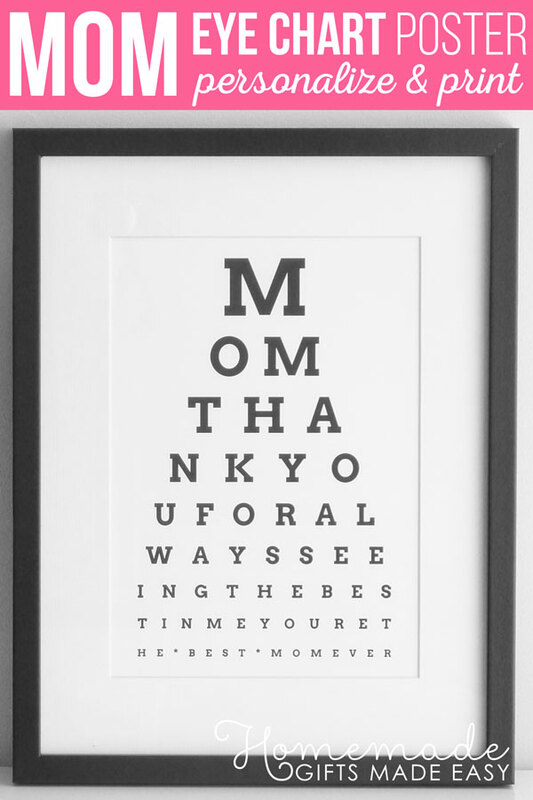 What I really like about this personalized Mothers Day gift is that it's still "handmade" in the sense that you compose the message for the eye chart, print it out, pick a frame, and put it all together. So, there's still some thought and effort that goes into the gift, which is important, because at the end of the day that's part of what makes a homemade gift special. Thank you for always seeing the best in me - you're the best mom ever! In your eyes mom I'll always be a little girl and that's fine with me - I love you! Dear Mom, you loved me before you saw me, does that mean love is blind? If you're still looking for the perfect message, then check out my collection of the best mothers day poems , quotes , and sayings , and wishes . As you'll see there's a free version of the eye chart maker that lets you choose from two fonts and always prints in black on a white background. If you want to a greater choice of fonts and colors then there's a fancy version of the eye chart maker that you can pay for. Personally I think the black and white looks fab, but I also quite like the pink because it really pops when you put it in the white matted frame. I found I got the best quality prints when I printed onto matte photo paper with our inkjet printer. The colors are vibrant, the edges are crisp, and the whole image pops. In terms of a frame, I'm a big fan of matted frames. That means the frame has a wide cream or white border made of thick card. This means the frame is bigger, so the gift feels more substantial and special somehow, and also I think it looks a lot nicer than when the eye chart goes right to the edge of the frame. But that's just my personal preference. If you live in the USA you get find 8x10" matted frames on Amazon for about $17. If you live in the UK, you can get an A4 matted frame at Hobbycraft for about £10. 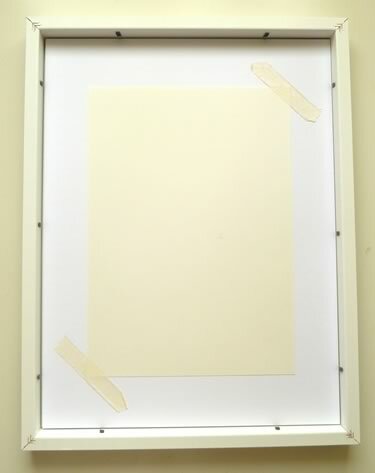 Masking tape doesn't stick too strongly, which is great because it means it's easy to reposition the eye chart in case you don't the position perfect first time around. 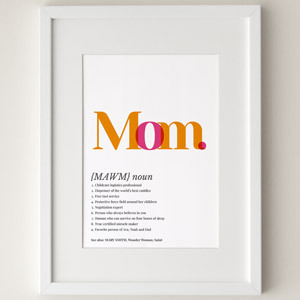 And once you've framed your eye chart... voila, a beautiful, personalized mothers day gift! I bet your mom will love it. And hey, if your mom does happen to be an optometrist, optician or ophthalmologist, then this gift is just doubly perfect. 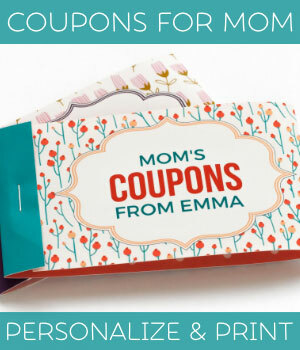 Or see my full collection of mothers day projects.